Picador Group has appointed Paul Wilde as their new group marketing manager. 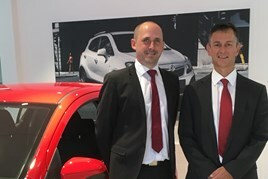 The Hampshire-based Vauxhall, Renault and Dacia retailer brought Paul in to oversee all of their group marketing activity and to assist in driving the business forward. Wilde previously worked in the automotive sector before spending three years in telecoms. Picador Group has four locations across Hampshire and is one of the longest-serving Vauxhall retailers in the country. The group also represents Renault and Dacia from its Sholing site in Southampton.